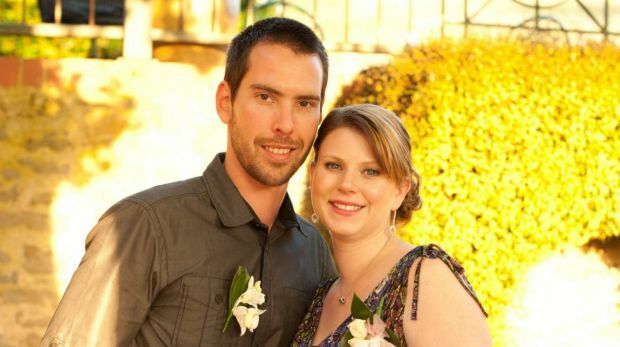 A mother of two who was critically injured when she was struck by a motorcyclist in a “callous” hit-run will have her life support switched off, her husband has confirmed. Andrea Lehane, 34, was walking through a pedestrian crossing at a Carrum Downs shopping centre in Melbourne’s south-east when she was bowled over by a mini-motorcycle. CCTV captured the moment she was struck. It shows a group of motorbike riders speeding off after the collision. 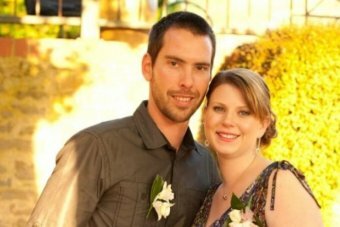 Ms Lehane’s husband James issued a statement to Macquarie Radio saying his wife had suffered “unsurvivable brain damage” in the crash. “The team at the Alfred [Hospital] have done an extraordinary job but the damage done has been confirmed to be too great,” he said. Mr Lehane said his wife’s life support would be switched off at some point today or tomorrow. He said, for his wife’s final act of generosity, the family had consented to organ donation. Mr Lehane said in the statement that his wife would be remembered as an extraordinary person. “She was very content in her life and loved and cared for her family and friends. She always put them first,” he said. Yesterday, Victoria Police Inspector Bernie Rankin appealed for the motorcyclists involved to come forward, saying he was certain they knew what had happened. “It was just callous,” he said. “Even the motorcycles following the offending one that struck the woman saw what happened, saw the whole thing unfold in front of them. The mini-motorcycle that hit Ms Lehane was most likely an illegal cheap import from China, according to the Victorian Motorcycle Council. Vice-chairman Peter Baulch said they were slipping through a loophole in legislation and design rules. “It’s just a recipe for disaster as we’ve seen this week,” he told 774 ABC Melbourne. “I’m not normally a supporter of regulation for regulation’s sake … but clearly there is a void or a gap in our current regulations that allows these illegal bikes to be imported and sold. Mr Baulch said history indicated banning the motorbikes would not work. “Unfortunately experience tells us that when these culprits are apprehended they get a gentle slap on the wrist from authorities — there’s no real deterrent to prevent this recurring,” he said. Frankston Council, which takes in Carrum Downs, banned unregistered mini-motorcycles in 2007 under local law after complaints about noise and risk of serious injury. Mayor Sandra Mayer said police had seized eight motorbikes in the past year in the area while the council had impounded another 10. But she said it was a difficult problem to tackle. “We used to have community safety meetings a couple of times a year in the area and the police would always say, ‘Well, we can’t very well chase someone on a bike through a park in a police vehicle’,” she said. Andrea Lehane remains in a critical condition in hospital after one in a group of five youths on motorbikes struck her in a Carrum Downs car park on Wednesday. A Melbourne mother who was run down and left for dead by a gang of young hoons on mini “monkey” motorbikes has suffered “unsurvivable brain damage”. The family of Andrea Lehane, who described her as “extraordinary wife, mother, daughter, sister, aunty, niece and friend”, confirmed her condition as they kept a vigil at her bedside, radio station 3AW reported on Friday. Ms Lehane, 34, was struck walking across a pedestrian crossing in the Carrum Downs Regional Shopping Centre car park about 5.10pm on Wednesday. She will leave behind two children aged three and four. Her distraught husband, James, released a statement on Friday morning, saying his wife would not survive the incident. “On Wednesday afternoon my family’s lives changed in an instant from a careless and avoidable accident,” he said. “As a result of the impact, my wife suffered unsurvivable brain damage. “The team at The Alfred have done an extraordinary job, but the damage has been confirmed to be too great. “Being a nurse, Andy was always keen on organ donation, so as a family we have consented to her going through a complete organ donation process. “Some time today or tomorrow she will go into theatre, with her life support machines, for her final act of caring and giving. “I will be taking her children, her three-year-old son and four-year-old daughter, to see their mum for the last time before this occurs. Mr Lehane has requested privacy for his family, saying they would like time to grieve. Ms Lehane was flown to The Alfred hospital in a critical condition with severe head and chest injuries on Wednesday. Police described the behaviour of the five motorcycle riders, believed to be teenage boys, as “callous”. Confronting CCTV footage shows them roaring through the busy carpark and slamming into Ms Lehane as she nears the end of the pedestrian crossing. The first rider passed her, then performed a wheelie, while the second bike, carrying two people, struck her. The two boys fell off the bike, after which the passenger ran off, while the rider jumped back on his bike and sped off. One woman, who asked not to be named, described the horrific sight of seeing her laying face down on the ground. “Everyone was just trying to help her out,” she said, still visibly shaken. “There was just blood everywhere, flowing everywhere. She said one bystander had jumped into a nearby car and chased after the group of hoons fleeing on their bikes. “My thoughts are for her now,” she said, after laying a card among the flowers. Meanwhile, local residents have likened the shopping centre car park to a “drag strip”. Residents placed flowers and a teddy bear next to the pedestrian crossing where the woman was struck, along with notes expressing support and sympathy. “Our thoughts and prayers are with you, get well soon,” one note reads. “We weep for all, we pray for humanity,” another states. Detective Inspector Bernie Rankin, from the Major Collision Investigation Unit, said it was not yet clear whether the youths were riding “monkey” bikes or other motorcycles. Frankston Council, which takes in Carrum Downs, was the first in Victoria to ban the bikes in 2007. It is illegal to ride most monkey bikes, also known as pocket bikes, on public roads or footpaths. But is not illegal to own one for use on a private property, such as a gated farm and the small vehicles can easily be bought online. In general, the bikes have a top speed of 70km/h. Most monkey bikes, formally known as miniature motorcycles, do not comply with the Australian Design Rules and cannot be registered as a motorcycle. “Riding a monkey bike without a valid motorcycle licence means a rider will be committing two offences, including driving an unregistered vehicle and driving without a licence,” said Robyn Seymour, the director of vehicle and road use policy at VicRoads. However some monkey bikes, including a line manufactured by Honda, do comply with Australian Design Rules and, therefore, can be registered.It is understood those select bikes have the right compliance plates to meet Australian road safety standards. Frankston Council, which takes in Carrum Downs, was the first in Victoria to ban monkey bikes entirely in 2007. This entry was posted in Australian Crimes, Crimes, Criminals, Current News, Disgusting Acts, Murders, true-crime, Victim Impact Statements and tagged Andrea Lehane, aussiecriminals, Australia, Australian Crimes, Carrum Downs, hit and run, mini bikes, monkey bikes, Murder, Police, Victoria Police by Robbo. Bookmark the permalink. I also love family, Photography, Cooking a great BBQ , Computers, Reading Crime Books, and solving crimes before the end of the show ! Its just so so unfair and sad that this happened its tragic in so many ways. I was fuming when I heard he got bail. Obviously this shopping centre does not have enough security patrolling the outside areas for hoons. Even so it happened so quick nobody could have stopped that nasty incident from happening. Absolute careless f..king arseholes and I bet their parents are too. This hoon dangerous behaviour on off road trail bikes and monkey bikes and hotted up high performance cars has been going on for years, especially on the western and outer suburbs of Melbourne. Illegal and dangerous riding by these untouchable cocky young trail bike riders is also a ignored common occurrence, with the police, or it wouldn’t keep happening. The coppers must be very aware of it. if the public are, who continue reporting them to police. But the keep coming back, hooning as usual. These brazen anti social idiots can be seen riding on one wheel and speeding in built up populated areas on a frequently basis. But they are rarely shutdown or their trial bikes seized by the coppers, because their to quick to catch and get away. You only have to see all the eyesore burn out tyre marks on many shopping centre car parks and the roads in general. But until a fatality has occurred and someone is killed by these hoons, nothing ever changes. Day and night, the hoons run amok, letting off their steam on these two wheel off road machines, and are always a step ahead of any patrolling police. Who can’t even chase them anymore. :7 News – Hoons slams through citizen road block. – Undercover Western Australian Police targeting dangerous motorcycle riding. :A Current Affair – Hoon Bust – 22/06/2015 – Dangerous motorcycle hoons. :A Current Affair – Drifters Going Hard. – 2015. – On Westgate Freeway Melbourne. :7 News – Vic hoons caught reoffending. :Crackdown on hoons’ roar. – 2012.
:A Current Affair – Wedding Burnouts. :Hoons wreak havoc in Perth , Western Australia, 2014.
:7 News – Hoons slam through citizen road block. :7 News – Car crash during police chase. :Fleeing gunman hit by car during Australian police chase. :Police Chase Ute /Truck in Brisbane Australia / Police Chase Caught On Camera. CALEB JAKOBSSON is no stranger to the danger monkey bikes can pose after the teen was catapulted into a fence on a high -speed joy ride last year. An internet clip — which was shut down last night — showed a group of motorbike riders weaving in and out of traffic on suburban Melbourne roads, performing wheelies and veering across lanes before the horrific crash. The nine- minute video is taken from a helmet mounted camera and shows several near misses. At the end of the film , CALEB JAKOBSSON mounts a kerb at speed, loses control and flips into a wooden fence, smashing it to pieces with his body. The heart-stopping ride ends with other riders racing to get help for the injured teen. The footage surfaced after the teen was in court yesterday facing serious driving charges over the death if the mother and nurse Andrea Lehane. The victim’s grieving husband clutched his wife’s wedding ring as he starred down her alleged killer in the courtroom. It was the first time James Lehane had come face -to- face with the 18-year-old, from Frankston North, as he faced a brief hearing in Melbourne Magistrates’ Court. A stoic Mr Lehane sat flanked by friends who later escorted him from the court arm in arm. CALEB JAKOBSSON is accused of hitting Mrs Andrea Lehane with his monkey bike as she walked over a pedestrian crossing at Carrum Downs Shopping Centre on Wednesday. The Magistrates Court heard the teen had not eaten for two days and he appeared in the dock gaunt and with unkempt long hair. 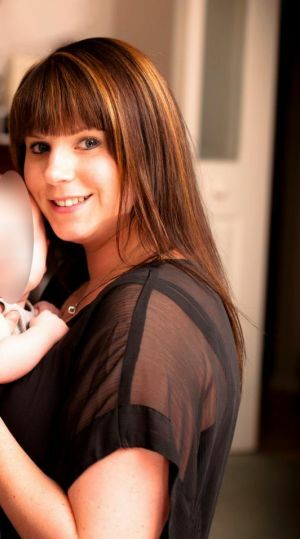 He handed himself into police two days after the fatal incident which left Mrs Andrea Lehane, a 34-year-old mother of two and a nurse, with “unsurvivable brain damage”. CALEB JAKOBSSON is facing eight charges, the most serious culpable driving causing death. He is also charged with dangerous driving causing death, failing to stop after an accident, failing to render assistance after an accident, unlicensed driving and driving an unregistered vehicle. He did not apply for bail during the two-minute hearing and was remanded in custody to reappear in court on Tuesday. His lawyer , Theo Magazis, told the court it was Mr Jakobsson’s first time in custody and he was vulnerable. It was alleged in a previous out-of-sessions court hearing that the first motorbike passed over the shopping centre road crossing at 5.11pm and a car came to a stop as Mrs Andrea Lehane crossed the road. CALEB JAKOBSSON was allegedly riding the second bike, which overtook the car and hit Mrs Andrea Lehane. She was thrown between five and seven metres, landing on her head and sustaining critical injuries. CALEB JAKOBSON and his pillion passenger were thrown from the monkey bike, but he quickly re-mounted and fled the scene, along with the others, the out-of-sessions hearing was told. Victoria Police Major Collision Investigation Unit Detectives have also charged two boys, aged 17 and 16. Charged with offences including reckless conduct endangering life and unlicensed riding, they were bailed to appear later at a Children’s Court. So what sentence will the Magistrate hand out for Culpable driving causing death and Dangerous driving causing death?… And it all being downgraded by a bargaining plea by his defence lawyer?.. A custodial sentence of four years off the road and a suspended sentence, has even been handed out by a Victorian Court, with the help of a good ‘Melbourne Traffic Defence Lawyer’… see below. :Dribbin & Brown – Melbourne Traffic Lawyers. – with offices in Melbourne CBD, Dandenong, Moorabbin, Frankston and Ringwood. They advertise their team of lawyers have a wealth of experience running culpable driving jury trials and can assist the accused facing court. :CRIMES ACT 1958 – SECT 318 Culpable driving causing death… with amendments in 1986 and 2009. – The baseline sentence is 9 years. – Sentening Act 1991. The Lesser charge of :Dangerous Driving causing death carries a Maximum prison term of 10 years and 5 years imprisonment respectively – and a minimum license disqualification of a period of 18 months. Dangerous Driving where no death or serious injury has been caused has a Maximum of 2 years and minimum licence cancelation of six months. First Offenders, depending on the circumstances, where the prosecution can prove beyond a reasonable doubt that ~ 1.The accused was driving a vehicle. ~2. The accused driving was culpable. ~ 3. The accused culpable driving caused the death of another. If found guilty the maximum penalty is 20 years in prison. This maximum sentence can only be handed out if the culpable death committed is one of the worst possible examples of this offense committed? – An accused is not likely to get the highest possible penalty. – Rarely exceeding 9 years. – First Offenders, depending on the circumstances , might expect 5 to 9 years imprisonment if found guilty. The prosecution must claim that the accused to be culpable by being affected by drugs or alcohol to the extent the accused could not have proper control of the motor vehicle? The accused was criminally negligent? The prosecution must specify in the materials how they are putting their case. The most crucial aspect of these culpable driving causing death cases say the defence lawyers, is extensive preparation. The defence lawyers best advise to their accused client if the prosecutions case is strong, is to accept an alternative charge of dangerous driving causing death, where defendants have not immediately been imprisoned in relation to this lesser charge, than culpable driving causing death? It is advisable in the early stages of being charged by police with culpable driving causing death, To have a good criminal defence lawyer, and have witnesses and documents to support that defence. The more evidence to support the accused case the more likely it will be to convince a jury beyond reasonable doubt that the defendant accused is not guilty of culpable driving causing death. Such defence materials would be an expert report to provide contrary evidence to the prosecution expert? Proof of Complicity or racing or hoon behaviour? The parties involved were acting in concert or participating in the dangerous or culpable driving which directly caused the death of a victim? Prove the accused aided and abetted the other participants in racing on public road directly caused the death of a victim? Does the prosecution have other materials in their possession that may exonerate the defendant, but has not been revealed after initial disclosure? Are their any witnesses who were not provided in the initial brief of evidence and who could support the defendants assertion that they were not driving in a culpable way? Expert report in relation to other vehicles. i.e. Another motorist did something that was unexpected, causing the accident. That is born out by a defence analysis of the offending vehicle. to provide contrary evidence. Research into the area of the collision. Have there been other accidents in the same area with a similar outcome. So many expert defence lawyers helping the accused defendant , clever good legal defence arguments working for reducing a long or any prison sentence, far short of the maximum 10 to 20 years imprisonment. But what legal defence is working for the side of the killed of injured victims? – Who have received the harshest of Death, Life Time Loss and Trauma and a Life Time Sentence without their Loved one’s respectively!…………..
JUSTICE IN VICTORIA IS SO LEINENT TO CRIMINALS. THE LONG MAXIMUM SENTENCES ARE IN THE SENTENCING ACTS, BUT THEY ARE NEVER HANED OUT TO CRIMINALS!